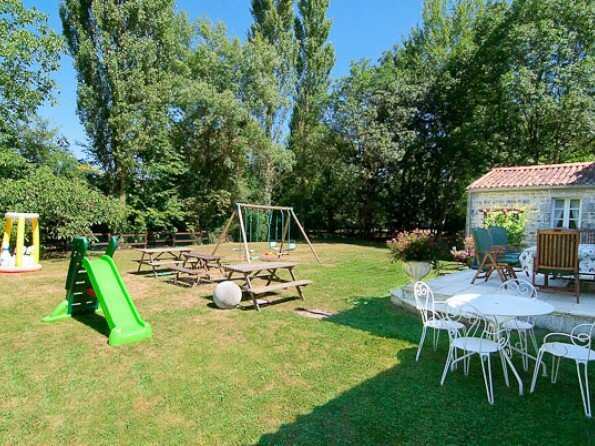 Set in its own lovely secluded grounds, Le Petit Moulin is an exceptional holiday rental in the heart of the Charente Maritime countryside. 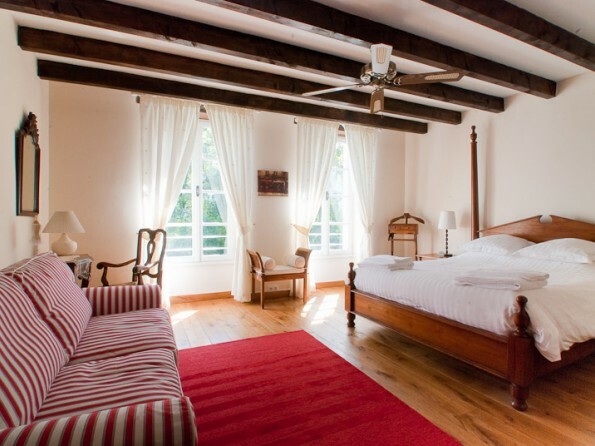 The relaxing surroundings combine with the charm of this historic mill to provide you with the perfect way to unwind. 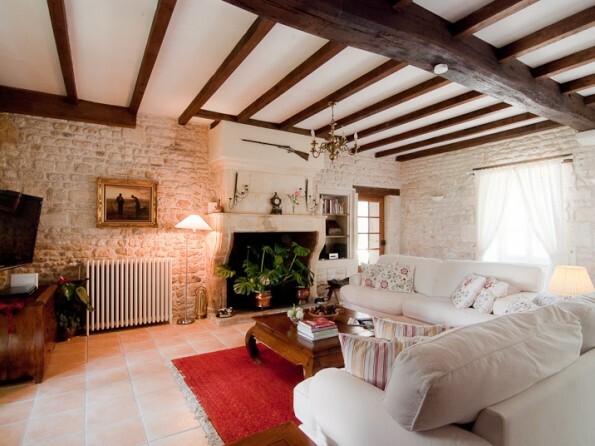 Originally a functioning Watermill producing flour it has undergone major restoration and refurbishment by the enthusiastic owners and their dedicated team. A fantastic watermill in 2 acres of landscaped gardens with 9 en-suite bedrooms, a wonderful pool area with a large 12 metre saltwater pool, 4 metre children’s pool, 8 person hot tub and stone BBQ (by pool) and gas BBQ (at rear terrace). Boasting large living areas and lots of in-house entertainment including a 50 inch plasma TV, Bluray DVD and Wii games this is a watermill holiday with a difference. 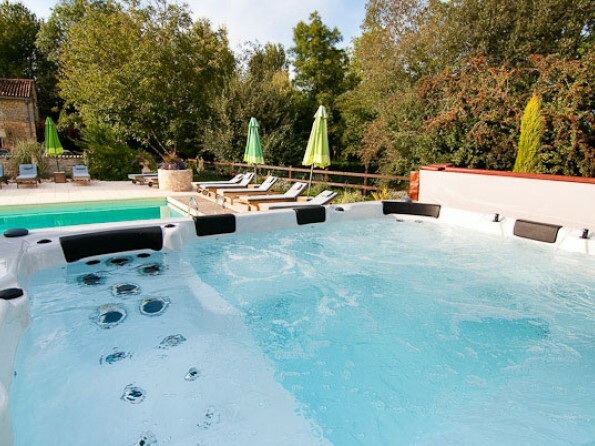 Le Petit Moulin is in the perfect setting for a holiday in a watermill, sitting amongst the farms and vineyards that produce the famous Pineau Charente aperitif grapes which produce a sweet wine. 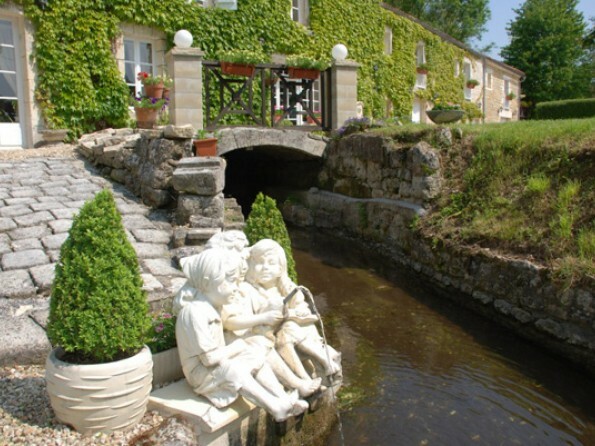 The mill is located approximately 14 kilometers from the main Saintonge city of Saintes (Saintonge means Saintes area). 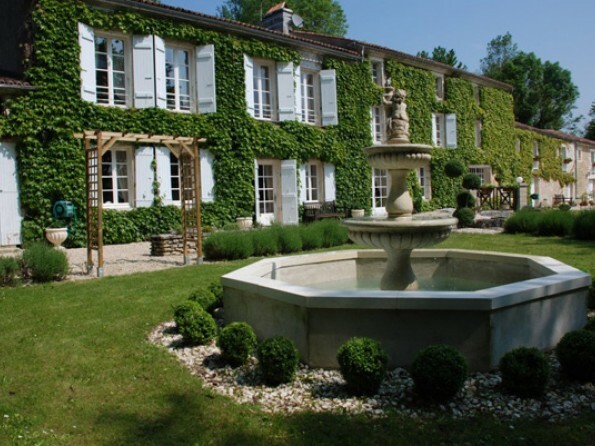 Saintes was originally a roman town situated on the banks of the Charente river. At most times during the year there are various festivals and markets selling local produce, fresh fish, seafood,poultry, fruit and vegetables. 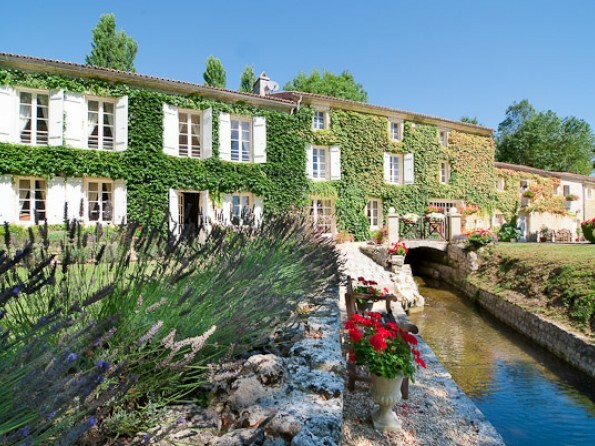 There are endless places to visit within an hour’s drive of the Moulin; from seaside towns and winding rivers, to miniature harbours and river ports, chateaux, botanic gardens and the Futuroscope theme park – you won’t be short of things to do! 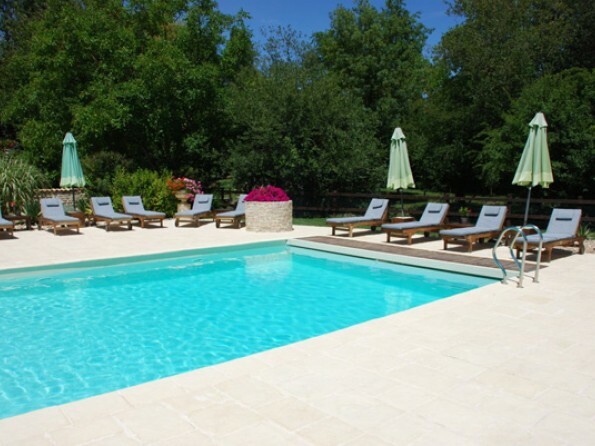 Le Petit Moulin has a light, spacious interior and sleeps up to 20 people. 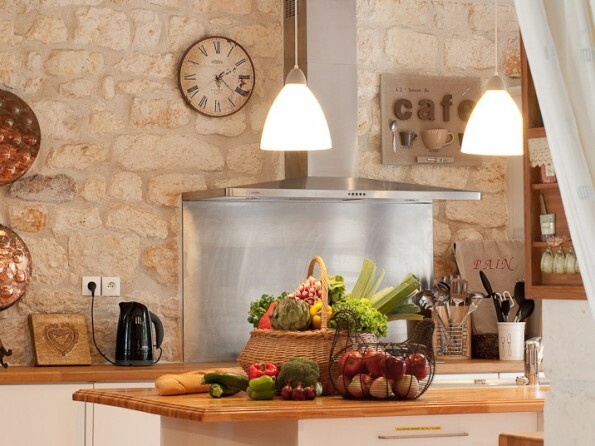 Accommodation includes a large fully equipped kitchen with American Fridge, Wine cave, 2 drawer drinks fridge, dishwasher, large 5 ring hob, microwave, two conventional ovens. The kitchen opens to the rear of the Mill allowing everyone to eat outside on our large 60 meter square terrace with gas fired BBQ and there is casual dining space in the kitchen as well as a large formal dining room. The main lounge has a large open stone Charentaise fireplace and is well equipped with a 50" Plasma TV with Freesat/Blueray DVD and CD/MP3 music system with an integral ipod dock. There is also a second large lounge area at the entrance foyer and the 1st floor landing area library provides even more space. Evening meals can either be taken in the large formal dining room which has the illuminated Millstream running through it or on our large garden terrace. 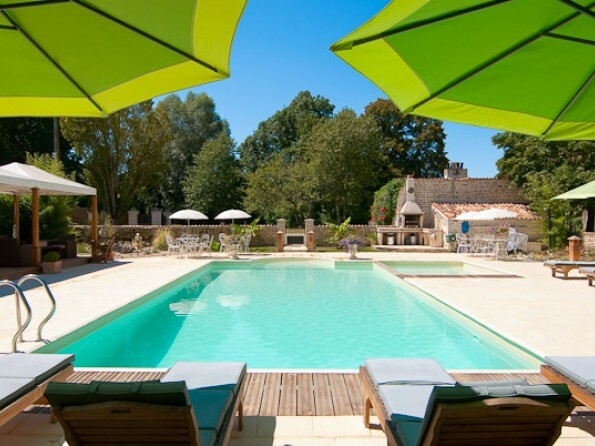 A holiday in a watermill is all about the outdoors, and outside you will find wide sun and shaded terraces with extensive grounds and a large 12 meter salt water, heated swimming pool plus Jacuzzi hotub with integrated Ipod player that seats eight people and beautiful Charentais stone BBQ area with Charcoal fire BBQ. The 12 meter heated pool has a completely separate 4 meter children’s pool attached to it, which is also heated, and this is great bonus for parents with small kids to be with their little ones while they are learning to swim but not too far from the main pool area and the adults. 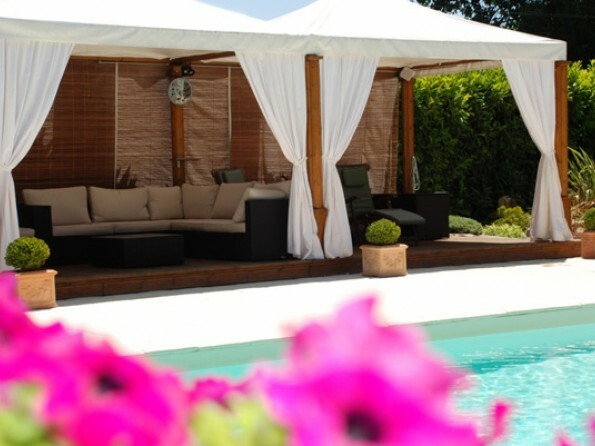 We have a beautiful shaded Cabana area which has mains power, perfect for plugging in the Ipod player and speakers and listening to your own music whilst chilling out or swimming. 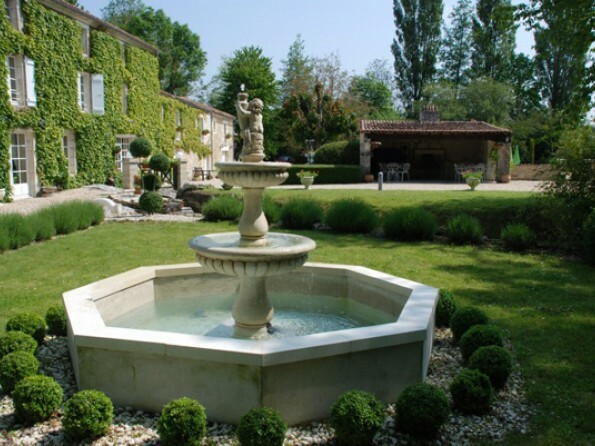 The Charente Maritime region is exceptionally sunny,and has it's own micro climate as a result of the Azores' anticyclone, making for mild springs and pleasant autumns. Along it's 470 kilometers of coastline, the Charente Maritime has around 110 beautiful sandy beaches, needless to say, seafood is a speciality here. It is steeped in culture and history and boasts 500 years of Maritime history from the imposing outline of Fort Boyard to the stocky coastal fortifications of La Rochelle. Inland and around the area it boasts over 400 stunning Romanesque churches. It is a place where the land meets the sea and is reflected in the beautiful shades of the wooden shutters adorning the honey coloured sandstone houses. 25% deposit to secure the Mill, balance to be paid 8 weeks before arrival. 1000 pounds security deposit to be paid which will be refunded. Optional 350 euro end of stay cleaning charge.